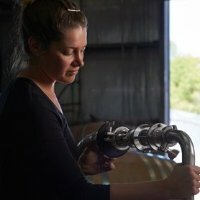 I’ve been familiar with the work of Tess Brown for a number of years without knowing how extensive her experience in viticulture has been around Australia. As she increased her knowledge and expertise – also as a winemaker – she began to gravitate towards establishing her own vineyard and winery, which she has recently done with her partner in Beechworth, Victoria. Tess joined me on this episode of The Vincast to talk about her experiences and her plans for the new project.